Free Shipping Included! 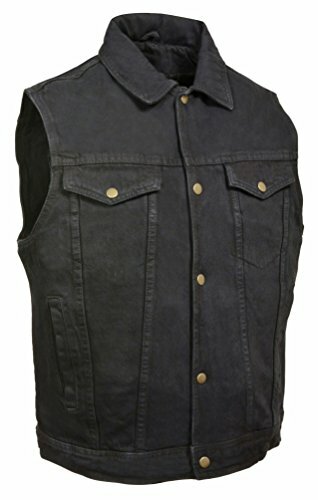 Milwaukee Leather Men's Snap Front Denim Vest w/Shirt Collar (Black, 3X) by Milwaukee Leather at Homer's Coat. MPN: MR-SOKY-OA37. Hurry! Limited time offer. Offer valid only while supplies last.